Q: Help! I have my test results – what do I do now? A: First thing most people do is look at their Ethnicity/Origins percentages – and are usually happy or confused! 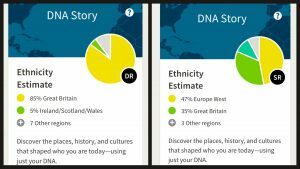 Check out some questions further down about ethnicity, and why it’s just an estimate. After that take a look at your match list. The match list is the most powerful part of a DNA test, it can help you confirm your family tree, breakdown brickwalls, and/or find biological family. Your match list is ranked from highest match to lowest. Matches are categorised based on the amount of DNA you share, the more DNA you share the closer your relationship is. More about how DNA is measured, and how to work your match list, further down. Q: Why do my ethnicity results not match my tree? Q: I’ve tested at another company, or uploaded my DNA at another company, why are my results different? Q: My ethnicity estimate shows a percentage of Scandanavian DNA, does this mean I’m descended from Vikings? Q: Should I download/upload my DNA to other sites? And which sites can I upload to? A: Quite often in Facebook groups as soon as someone mentions they have their results back, people start commenting to “Download your raw file and upload to ….” . Usually they suggest GEDmatch. Whilst uploadng to GEDmatch is a good idea, it can be easier to learn all the necessary details and jargon at the test site before tackling the more technical gedmatch site. More on GEDmatch later. Always check the T&Cs and privacy settings of the sites you want to upload to, and ensure you are comfortable with them. Many sites accept your DNA for free and some request payment for analysis and use of any tools they provide. Not all upload sites accept files from all test companies, so always check which company files can be uploaded. Some common sites accepting DNA uploads: ftDNA (high matches only, test with them for more matches. Small fee to use their tools), GEDmatch, My Heritage, LivingDNA (for matching only, not their regional breakdown … and matches will not be ready until mid 2018), DNA.land, WeGene, Geni, Promethease (small fee, for health), Livewello (payment required – for health). Ancestry and 23andMe do not offer an upload service. Q: What does my match list mean, how do I use this information? A: Your match list is usually arranged in order of highest match at the top and lowest match at the bottom. The test sites categorise your DNA into groups of cousins. Usually close family are listed as Immediate or Close Family, the names can be slightly different at each site. Although a match might be in the say 2nd cousin category, it may not be a 2nd cousin, as various relationships fall into the same category due to the amount of DNA Shared. Things like half relationships, once or twice removed cousins, or a cousin marriage in that branch can mean the relationship is different than the category it is in. It’s key to learn about the cM shared (centimorgans shared) which is the Amount of DNA you share with your match . The more DNA shared, the closer the relationship is. cM stands for centiMorgan, which is a complex measurement of the amount of DNA you share with someone. The higher the cM amount the closer the most recent common ancestor (mrca) is. 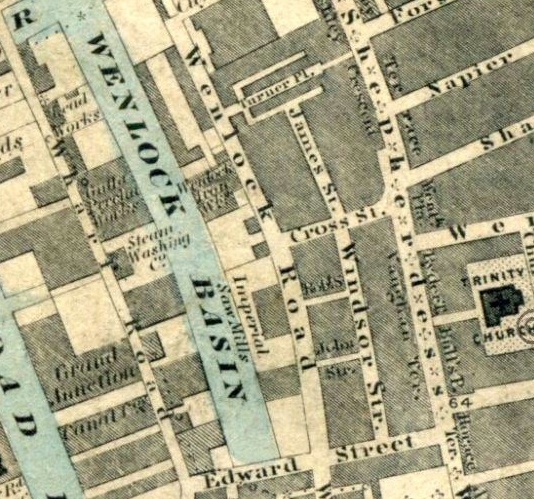 Some sites (e.g. 23andMe) show this as a percentage rather than cM (although you can see the cM by looking further into the detail of your match). 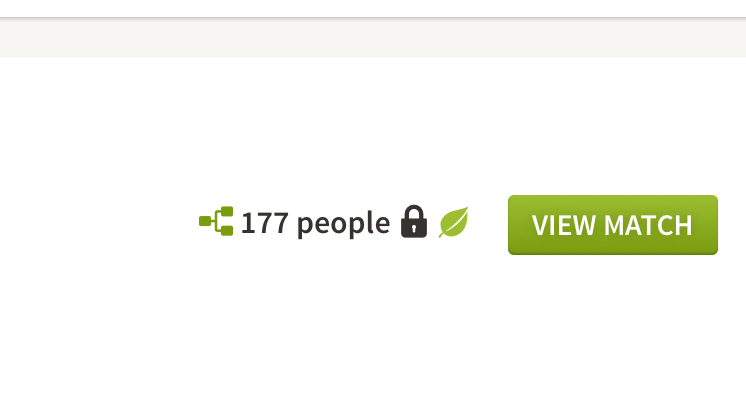 At Ancestry you can find the cM by clicking on your match and then the little “i” icon on their page. Q: What does shared cM, largest cM and Segment numbers mean? A: cM = centiMorgan, a complex equation to work out how much DNA you share. The test usually reports the total amount shared as either a cM number or a percentage (23andMe). They usually show how many segments this includes. A segment is just a block of DNA you share. For beginners the number of segments doesn’t really help determine a relationship. In distant relationships the number of segments is usually 1 (ie just one small block of DNA is shared), and in closer relationships usually more. The segments are often on one or more chromosomes and we’ll cover off chromosomes later. Beginners can probably ignore segment numbers for now. Some sites will show a third number, and that’s the largest block. So a match might be 40cM / 2 segments and 25 longest block. This means the total amount of DNA Shared (the most meaningful number) is 40cM. The DNA is on 2 segments, one is 25cM (the longest block) and so the other must then be 15cM. The most relevant number is the amount of total shared cM as this will help you predict a relationship. Q: How do I know what relationship the match is to me? Once you have a predicted relationship, it is only by building family trees that you can work out exactly what the paper trail relationship is. Note that if your paper trial says someone is your second cousin, but the DNA does not fit into the range reported, then you have a mystery to solve. Maybe they are only your half second cousin, in this case look for other shared matches to see what might be going on, are they also matching lots of unexpected families? (or are you not matching a lot of your own family?). Unfortunately DNA can produce some surprises, not all of them good ones. DNA research requires a lot of traditional tree building, so it helps to also get skilled up on traditional genealogy research. Q: How can I work out if my match is paternal or maternal? A: The test cannot tell you this. The best way to do this is to test a parent, as then any match that doesn’t match them, must be the other side. Of course not everyone can test a parent, so the next best is an aunt or uncle – they will help work out which matches are their side, but you cannot make the same assumption about those they do not match … some of those could still be their side, they just did not get the same DNA as your parent did. First cousins can also be helpful as then you can pinpoint Grandparents that the match belongs to. Once you start confirming matches, shared matches (also called ICW, In common with) will really help. As I’ve confirmed a lot of 3rd cousins as soon as a new close matches comes in I can click on shared matches and almost place the new match immediately, based on who they share DNA with in my list. Q: Will I match DNA with all my cousins? A: No you won’t! Currently it’s never been found that a 2nd cousin will not share DNA , so if you are not sharing DNA with a known second cousin (who has also tested) then you have a mystery to solve, something is not right. But more distant than 2nd cousin and it’s possible to no longer have any DNA from the distant ancestor (see further down for details of how DNA inheritance works). This is generally around 10% of 3rd cousins who will not match you, up to 50% of 4ths and 70% of 5ths it can vary of course, but these are high level numbers, so don’t be surprised if a known 4th cousin does not share DNA with you, it does not mean your paper trial is wrong and more research is needed to confirm the branch. Q: Can I inherit DNA from my grandparents that has skipped my parents? Does DNA skip a generation? 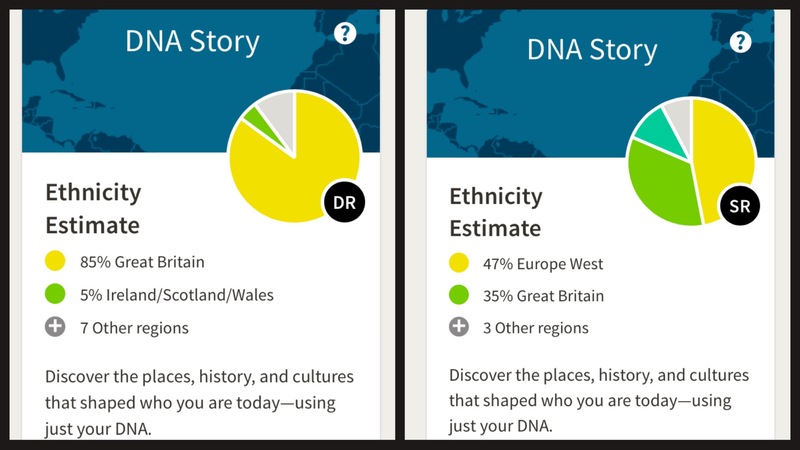 And here are the ethnicity estimates, from the Ancestry site, for me and my sister (proven full sibling) that shows how different it can be sibling to sibling. Q: None of my matches seem to have family trees attached, and none of them are answering my messages – has DNA testing been a waste of time? Why do people bother to test and then not share anything? A: No most certainly your test has not been a waste of time, and this has been the most common complaint about DNA this past year! Here are the cold hard facts: when someone got given a DNA test, or paid for a DNA test, or was requested by a family member to do a DNA test … at no time during that process were they buying into communicating with other people, replying to messages, sharing their tree, or for some even bothering to look at it again after they first got it! It’s not for us to wonder why, or have unrealistic expectations that everyone is like us and want to get about researching their tree. Also remember that many testers are adoptees and foundlings, firstly they do not have a tree to share, and secondly they are often warned off communicating too much about being an adoptee, sadly not everyone wants to help them. So what can we do about it? Well as it turns out, actually quite a lot!! If you have a match with a private tree there are tricks to figure those out too, check the next question for private trees . 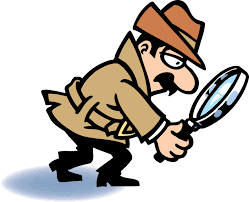 – google their name/ profile name using some of the clues you may have found – looking for possible hits on who they are. Learn to do advanced google searches. For ftDNA matches google their email address to see if they have a tree somewhere else, or family information online . – write all your clues down, tick them off or cross them out as you validate them/invalidate them. 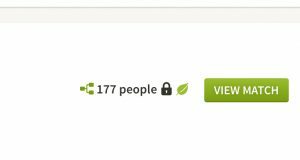 – look for possible trees at wikitree, geni, genes reunited, My Heritage, FMP, etc..
– on the matches DNA profile page, click on “shared matches”… who else do they match ? 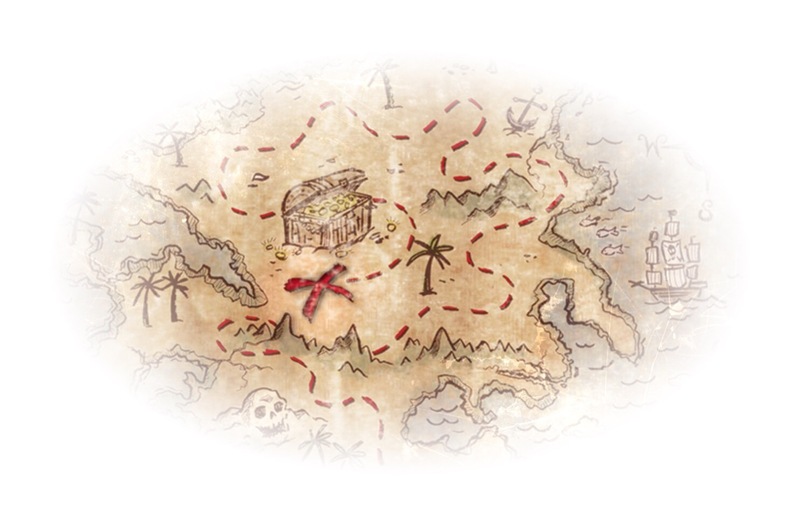 You might be able to research the group of shared matches together, working off clues from the shared matches trees. Shared Matches can be goldwhen trying to identify and solve a match without a tree. -start building a tree for them , keep it private and unsearchable .. it’s quick and dirty, add hints, extra people, whatever you need to try and establish who your match is and their ancestors. As you start pulling together your hypothesis of who the match is, and how they relate to you, always go back and try and disprove it, don’t get caught out with confirmation bias where you only look for clues to prove your theory, more importantly look for clues to disprove it! This includes once you find the match, to go back and check that the DNA could not have come from another relative! This page also has more great hints and tips. Recently some people have challenged the privacy and ethics of researching people in this way. In no way are you doing anything illegal by searching public information to find out about your match (your cousin in fact). But please keep your research private, if you come across something your match (your cousin) probably doesn’t want published, please think of them and be ethical about sharing information you’ve discovered. Any speculative trees you make should be private and unsearchable. If a situation seems delicate, please treat it as such. Q: My match has a tree, but it’s private and they are not responding to messages, how can I work with this match? A: Now the first thing you need to know about private trees is that when you search your Ancestry matches, the results include private trees. So by quickly doing a few searches, using names in your tree, you can establish which names they also have. This can help to confirm a branch they may be related on. Also use some of the tricks and tips above and especially look at Shared Matches … this can tease out exactly where this match might sit in your tree. Q: At Ancestry some of my matches have a green shaking leaf … does this show where the DNA connection is? A: These are SAHs (Shared Ancestor Hints) – but note the word Hint, because that is all they are. They work based on the tree you have attached your DNA to. If you haven’t attached your DNA to a tree, and you have a tree, go and do it now! It will really help 🙂 The hint picks up an ancestor that it thinks is both in your tree and your ancestors tree, but sometimes the “same name” isn’t actually the same person, so you must check. Also if your match just copied your tree then you will, of course, also have the same name in your tree. 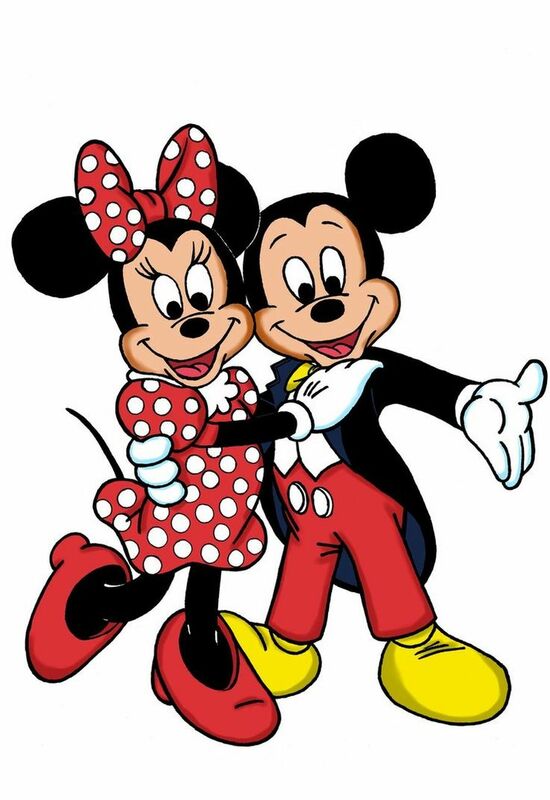 My old saying is that if you have Mickey and Minnie Mouse in your tree and your match copies it, then you will get a SAH showing you are descended from the Mouse family – of course you are not. Q: I’ve uploaded to GEDmatch, but I’m lost and it’s confusing, what does it all mean? 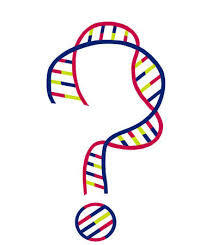 Q: What is X DNA and how can I use it in my research? Q: I’m working with my match and we both have solid trees, why can we not find the common ancestor, or why can we not find a common surname? A: here is my list of reasons why you may not find a common ancestor. 1. Your tree is wrong or does not go far enough back to find a common ancestor. Keep building out your tree, you should be able to get a rough prediction of where the most recent common ancestor is, based on the amount (cM) of DNA you share. 3. There is an NPE (non paternal event) in your tree. If you are finding a lot of trees that don’t match your own, or family that have tested that do not match you as expected, then maybe there is a broken line where the father named in the source document is not the actual father. 4. There is an NPE in the matches tree. In this case look at shared matches, and see if you can find where the matches tree might be wrong. In these cases it’s often easier to contact the match and try and research with them. 5. The common ancestor is back before the genealogical time frame, i.e. a segment of DNA has passed through the generations unbroken and you will never find the common ancestor. These segments of DNA are often called sticky segments (although that term is going out of favour). There are specific known areas that are prone to this (called known pile up regions). Ancestry’s matching algorithm does remove those. 6. The DNA match is false, a small match under say 10cM may just be a coincidence rather than a real match. Q; An Ancestry match at GEDmatch seems to share a different amount of DNA with me than reported at the test site. A: Each test site uses a different matching algorithm to create what they call a match. 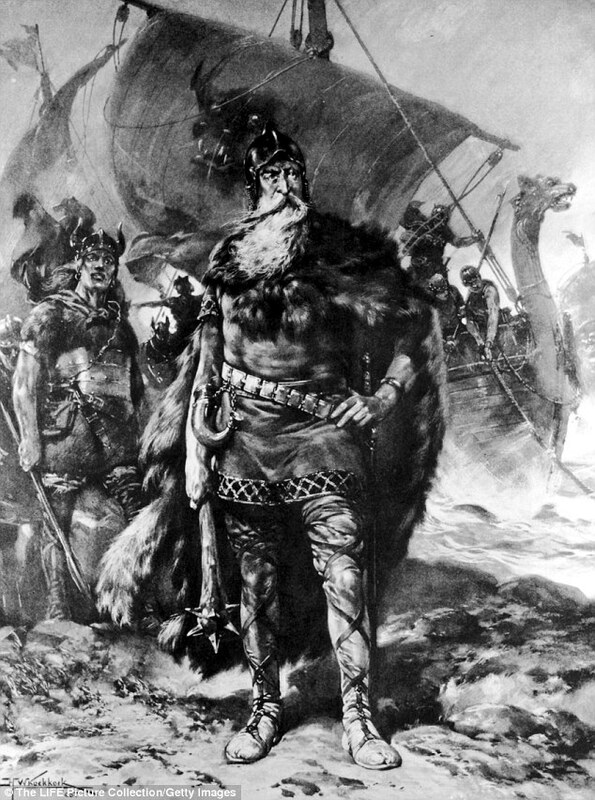 Ancestry has a sophisticated algorithm they call Timber and it removes segments of DNA that are considered to be shared by much of the population. This means that the Ancestry site might report a lower number than GEDmatch. FtDNA set their matching amount quite high but then add in all the tiny amounts >1cM, this means that GEDmatch reports a lower number than ftDNA. 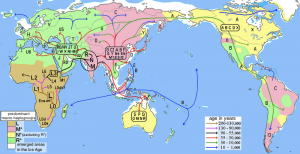 Q: What is a Haplogroup? And how do I find mine? A: Haplgroups come in two types, maternal and paternal, and they pertain to our ‘deep ancestry’ ie they show our maternal (mother’s mother’s mother’s… line) or paternal line (father’s father’s father’s line …). 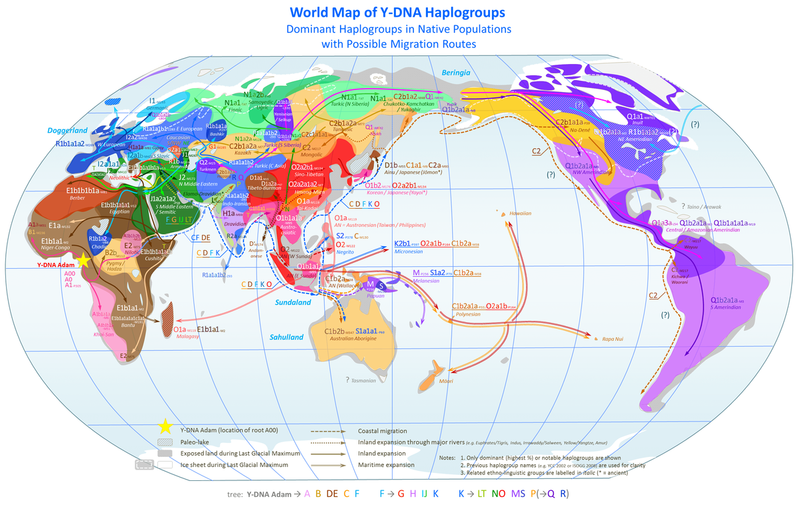 The haplogroup is a type of “family name” for people who have similar DNA “Mutations” (mutations shouldn’t be considered bad here, it just means the code you have at specific parts of your DNA) . Q: I’ve had my test on Ancestry for ages, and I don’t have any circles, how can I make DNA circles? Q: I’ve found several matches that all match me at the same location on the same chromsome – does this mean we all have the same common ancestor? A: You cannot answer that until you do further steps. You must do one on one matching with each match (with each other) in turn. So for 4 matches you need to check A-B, A-C, A-D, B-C, B-D, C-D. This is because you are looking at a pair of chromosomes stacked on top of one another, your paternal chromosome and your maternal chromosome. Some of the matches will be paternal to you (they will all match each other, but not everyone) and some will be maternal to you (they will match each other but not anyone in the first group). Each group can now be considered to have the same common ancestor, but you need to figure out which group is maternal and which is paternal. They must all overlap for at least 7cM or more to be considered a real match. 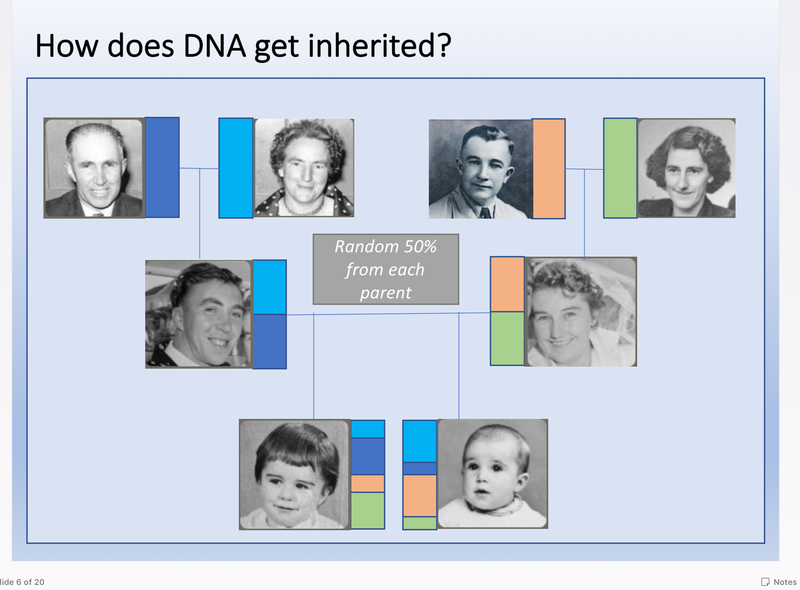 Note that this can be easily done at GEDMatch and 23andMe where you can check your matches against one another, but at ftDNA you can only check matches against yourself! Ftdna have a tool called the matrix which can be used to see if you all match each other, however you can only make an assumption as the matrix does not show the chromosome number, just high level whether someone matches another. At Ancestry you cannot see any chromosome or segment data, therefore you need to use Shared Matches, but again you will not be able to confirm if they are all the same common ancestor. Q: How small a match should I go chasing to find a common ancestor? A: it’s personal preference really. Anything under 7cM is considered to be IBS (Identical By State, or sometimes said Identical By Coincidence). That means it has more likelihood of being a false match. I personally don’t chase matches that are likely more distant than 4th cousin, this is firstly due to the number of matches I have across many kits, but also the chances of actually finding a common ancestor at that range becomes much much harder … bearing in mind that source documents are harder to find, women’s maiden names may not be recorded, and there is more chance of errors on trees, and NPEs causing confusion. Even if you find a common ancestor with a potential 8th cousin (because you have the same tree, bear in mind the Mickey Mouse theory above, but also at such a small amount of shared DNA you cannot confirm the DNA was from that particular ancestor and not another unknown ancestor branch on your tree). I leave small matches alone. And of course the Facebook Group that I co-admin, to help beginners and advanced users. Thank you Beverley – pleased it was helpful! Lots of good information. Maybe too much. Can you outline a sequence of blogs/sites etc., to read to understand this better? I have been pursuing DNA as it relates to genealogy for about 2 years, trying to learn as much as possisble in my pursuit to identify my unknown family. (Unknown parents of my maternal great grandparents). I’ve read similar lists of information for genealogy/dna beginers, but yours is the most concise, easy to understand list I’ve read. Thank you! I downloaded the dna for both parents but, there is no X chromosome info on either. Did I do something wrong? Which site did you test at? Most companies do test the X if even they do not use it in their comparisons. Hope it can be of help – thanks! You are welcome, happy to be of help. Incredibly helpful, thank you. Relatively concise, straightforward. Look forward to studying your suggestions in more detail. Excellent article. Easy to inderstand! I have been searching for several years to try to find the origins of my Great X 3 Grandfather. I had my DNA tested and my 1st cousin also had his DNA tested. We both have the same Grandfather, great-Grandfather, Great-great-Grandfather and the above Great-great-great-Grandfather. 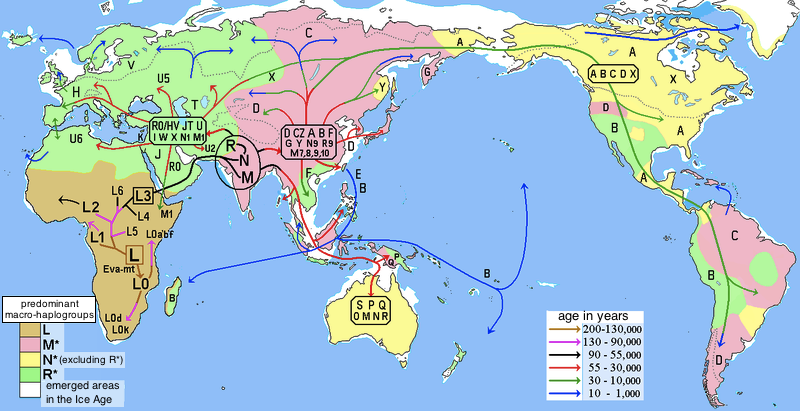 I have a few matches who fit into this descending line and I have singled out those who come from the same County as our Common Ancestor. 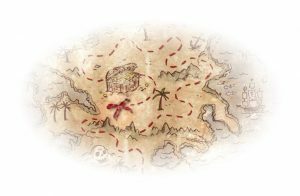 Is it possible to find this ancestor’s origins? and have you any hints that might help me to get started on this quest? I have no parents, aunts, uncles or siblings to whom I can ask to take a DNA test. Just a few cousins. I thought the Painter might be a useful tool to help me, but I’m not sure how!